If you’re heading to Latvia, take the time to leave the capital, Riga, and venture farther afield. This Schengen country has many fascinating towns with ancient castles to explore. 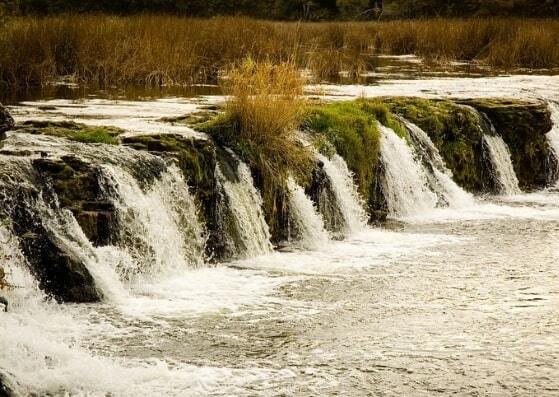 There are beautiful forests, hills, and lakes where you can take to the many hiking trails – a great way to see magnificent waterfalls. There are also opportunities to spot local wildlife along the way. If you want a more relaxing time, Latvia has 500 km of coastline with hundreds of gorgeous sandy beaches to choose from. In this article learn more about how to apply for Latvia visa at the Latvian consulate in NYC, New York, Latvia visa appointment booking, Processing time at the Latvia visa application center, flight itinerary for Latvia visa, hotel bookings for Latvia visa, Schengen travel insurance for Latvia visa application, and Latvia Visa Application Process at the NYC consulate. If you are a US citizen and want to go to Latvia for tourist purposes, you do NOT need a visa as long as you don’t exceed 90 days in a 180 day period. If you are a national of Norway, Iceland, Liechtenstein, Switzerland, Canada, Australia, New Zealand, Israel, Japan, Korea, Hong Kong, Singapore, Malaysia, Mexico, Taiwan, Brazil, and the EU Member States, you also do NOT need a visa. If you are from Russia, Belarus, Ukraine, Armenia, Azerbaijan, Kazakhstan, Uzbekistan, China or anywhere else and you currently live in the US on a permanent basis, you DO need to apply for a visa if you wish to travel to Latvia. You have to make sure you apply at the right Latvian embassy and consulate. In order to apply for a Latvia visa, you need to apply to one of the visa offices located in the US. 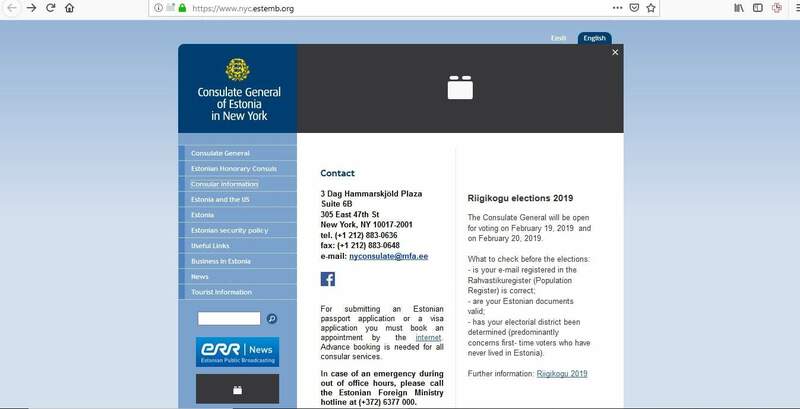 So, if you live in the New York area, specifically, Manhattan, Brooklyn, Bronx, Queens, and Staten Island, it’s the Consulate of Latvia in New York that you will deal with. 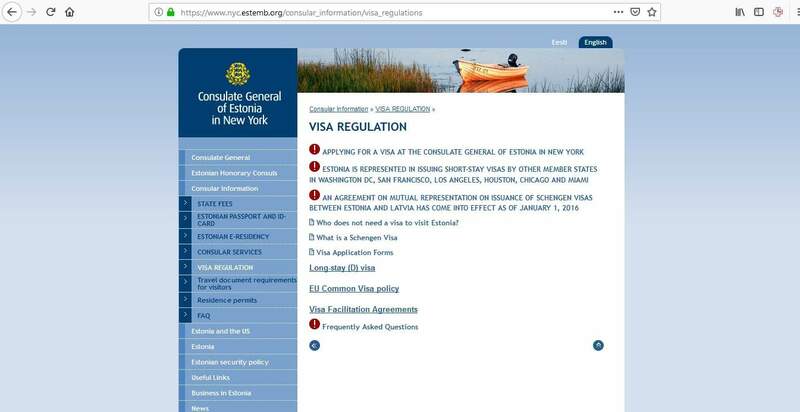 However, the consulate in New York does not issue visas, so you will actually submit your application to the Consulate General of Estonia in New York. If you don’t live in New York or the surrounding area, don’t worry! If you live on the west coast of the United States, you can apply for your Latvia visa through the Consulate General of Poland in Los Angeles. All other visa applications from anywhere else in the US can be made through the Embassy of Latvia in Washington DC. In 2017, there were a total of 166,800 Latvia Schengen visas received worldwide. 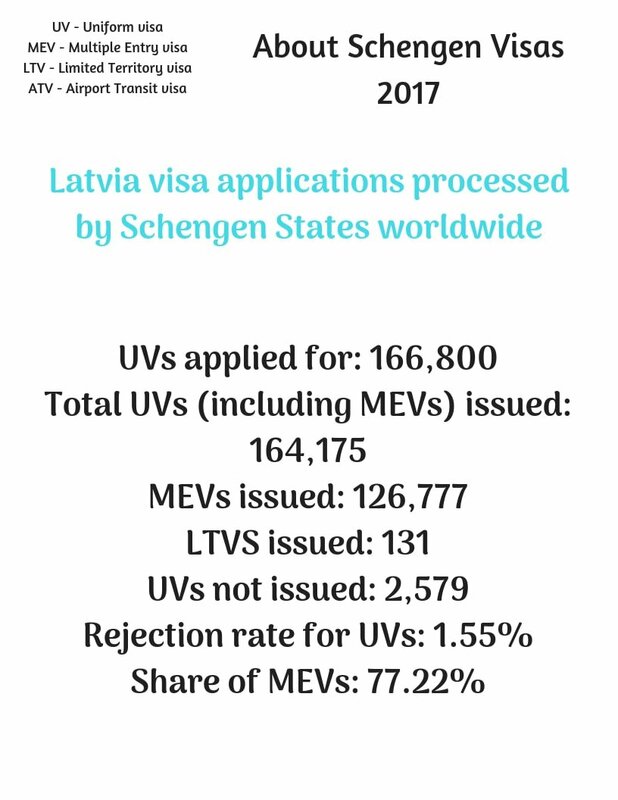 Just 1.55% of these were denied, putting Latvia in the top 5 of easiest countries to get a Schengen visa. There was no data about the number of applications received at the consulate of Estonia in New York, however, the Embassy in Washington received 74 applications and rejected just 3. 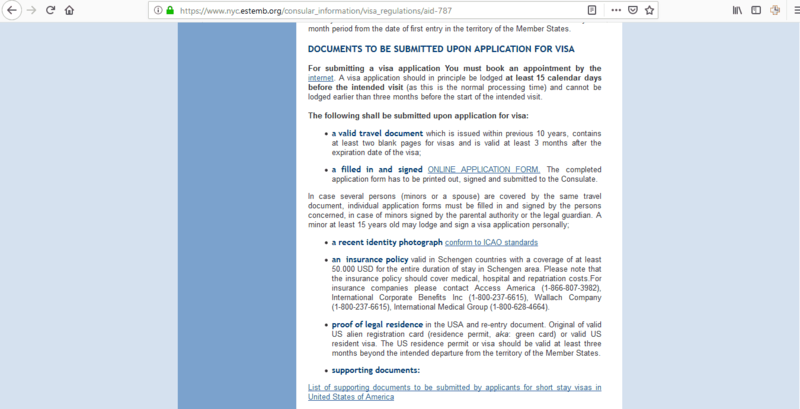 There are 3 types of visa offered by the Consulate General of Estonia in New York. 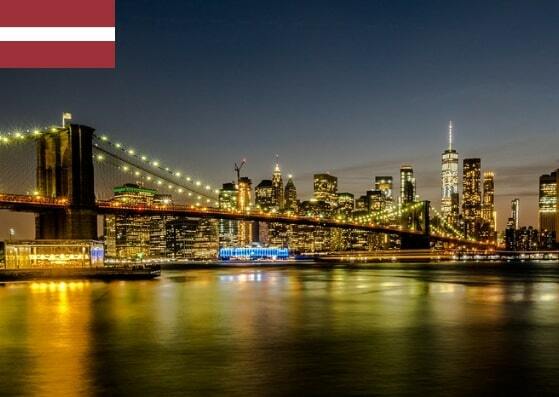 The consulate of Estonia in New York currently processes Latvia visa applications in 15 days, but this time could be extended to 30 days and in exceptional circumstances as many as 60 days. It really depends on the type of visa and your nationality. You should apply at least 15 days before you travel. You can apply up to 90 days before, so the earlier the better to allow enough time for your application to be processed. Don’t submit your file any more than 90 days ahead because the consulate won’t accept it. It may appear confusing when it comes to applying for a Latvia visa, but if you stick to the following steps the process will be easy for you. Please note, you can only use this online system if you are applying for a Schengen visa (maximum 90 days). If you are applying for a National visa (over 90 days) you’ll need to download a separate application form and complete it manually. 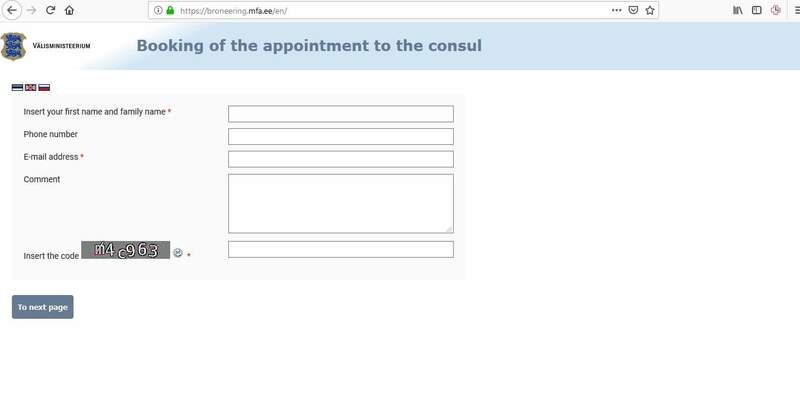 Before you start to prepare your documents, it’s advisable to check the consulate’s website. You need to understand what is required for your Latvia visa application. If you submit your application with anything missing, it won’t be accepted by the consulate and you may have to reschedule to a time when you can provide all that is required. In addition, you need to submit original documents and photocopies of everything. The consulate will not return documents to you, apart from your passport, so if there is anything you wish to keep, then make extra copies for yourself. When it’s your turn to be seen, the staff will examine your application and other documents. They may question you further about it. If they do, simply answer honestly and politely. What do you wish to go to Latvia now? Could you reschedule? Do you know anyone in Latvia or the Schengen area? The next part of the appointment is for you to pay the fee for your visa. You can pay by cash only. 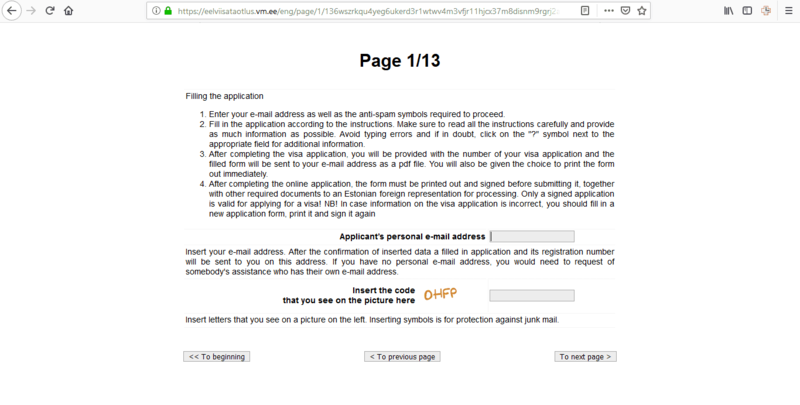 This fee won’t be refunded, even if your application gets rejected. As of May 15th, 2014, you must provide biometric data (fingerprints) when applying for a Schengen visa. However, if you have had a previously approved Schengen visa within a 5 year period AND your data can be found on the Visa Information System (VIS) your data can be reused. When the consulate has reached a decision about your Latvia visa application, they will contact you and you can collect your passport from their office. If you have already been to a Schengen country, you may still have a valid visa, so check this first before you apply – you may not need to! If your passport is out of date or isn’t valid as per the specifications, you must obtain a new one before applying for your Latvia visa. Your photo must adhere to the guidelines for acceptable photos and you must provide all the required documents, including an invitation letter, if applicable to your application. 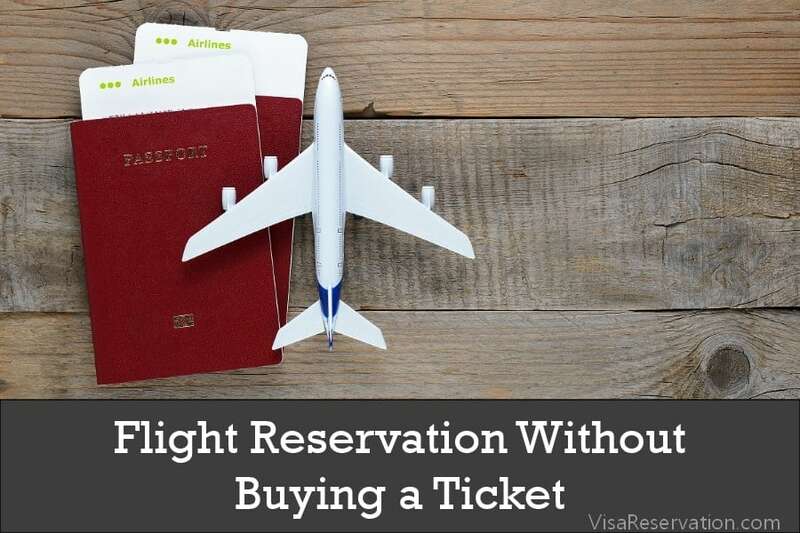 Lastly, you must prove that you can afford the trip and have sufficient funds in your account – €94 per day for short-term visas and €108 per day for long-stay visas. 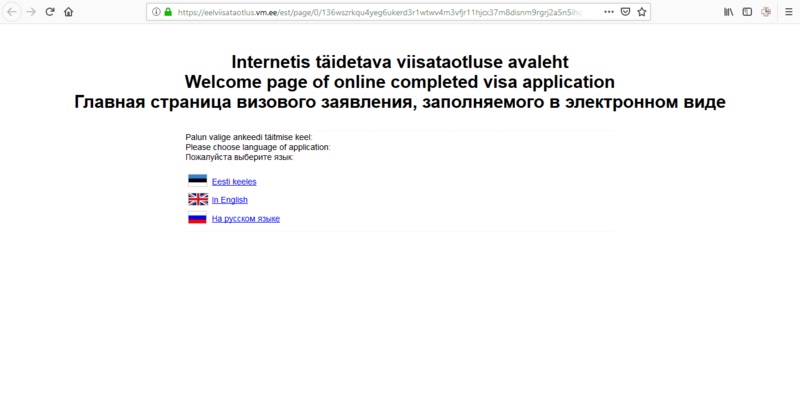 When you receive your visa, you can look forward to your trip to Latvia!